as a content player, that allows autistic individuals to view the social story or the task analysis; in this mode the user is not able to interact with the other parts of the app without the operator intervent; different modes of visualization are taken into account: for social stories, each page contains a not scrollable list of actions with navigation buttons at the bottom of the page, useful to go to next/previous page and to reach the end of the story; for task analysis the operator can choose how the task will be layed out on the screen and how the player can interact with it: each page can be filled with a not scrollable list of actions displayed as items or can contain only one action; moreover, user can choose if every task has a check mark that must be selected in order to sign that particular task as “done” (checkable mode), or can just be implicitly done once shown/read (not checkable). This choice can be useful for different people with different disease, or for different types of tasks. The application lets the operator to backup and restore its own content on the device (through a XML representation of a story), allowing easy backup/restore and share operation. 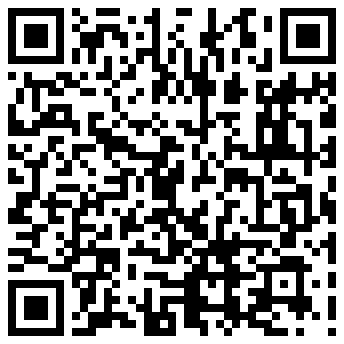 The user can use a library of pictograms (provided by Arasaac) that can be downloaded from the app itself, as well as any personal image or pictures including every source of images. 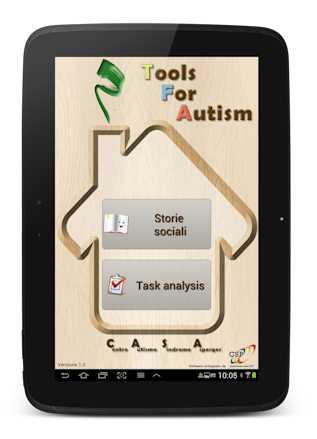 The application is developed by CSP Innovation in ICT and the work is the result of a successful collaboration between the Foundation ASPHI Onlus, the Centro Autismo e Sindrome di Asperger of the A.S.L. Cuneo 1 and CSP Innovation in ICT in Turin, with the support of CRC Foundation, CRT Foundation and La Stampa (Specchio dei Tempi).